Rachel receives 2019 Garden Club of America Fellowship in Ecological Restoration! Congratulations! Rachel receives the 2019 Garden Club of America Fellowship in Ecological Restoration for her project: Determining the role of soil microbes in the establishment of hard to establish plant species and the restoration of grassland communities. Undergraduate project published in Journal of Ecology! Congratulations to Anna and Eleanor, two of our former undergraduate students in the lab. Our work on how snail herbivory affects tree seedling establishment is now published in Journal of Ecology! Also check out the journal's blog post related to our paper. And Frontiers in Ecology and the Environment for comments on our paper. Jacob presented a poster at the Annual Biomedical Research Conference for Minority Students (ABRCMS) in Indianapolis, Indiana. Great job, Jacob! 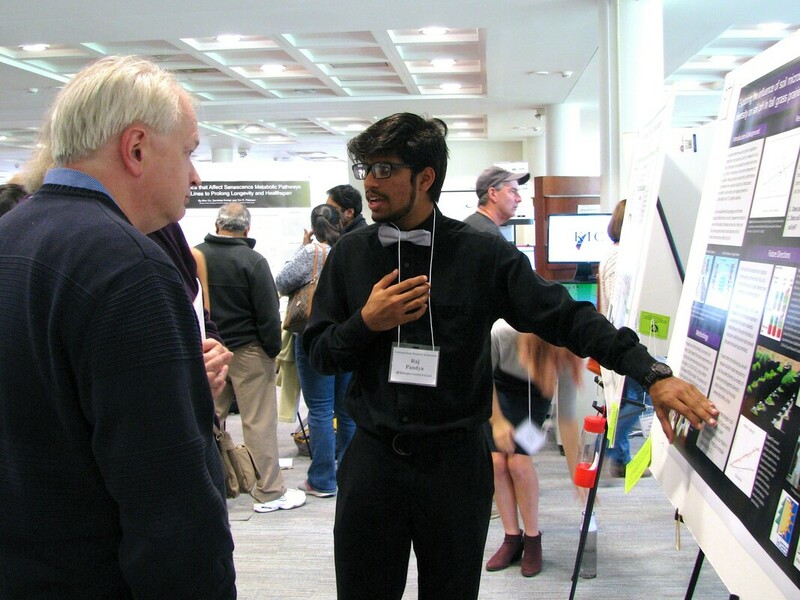 Congratulations to all the students who presented posters at the 2018 Undergraduate Research Symposium! 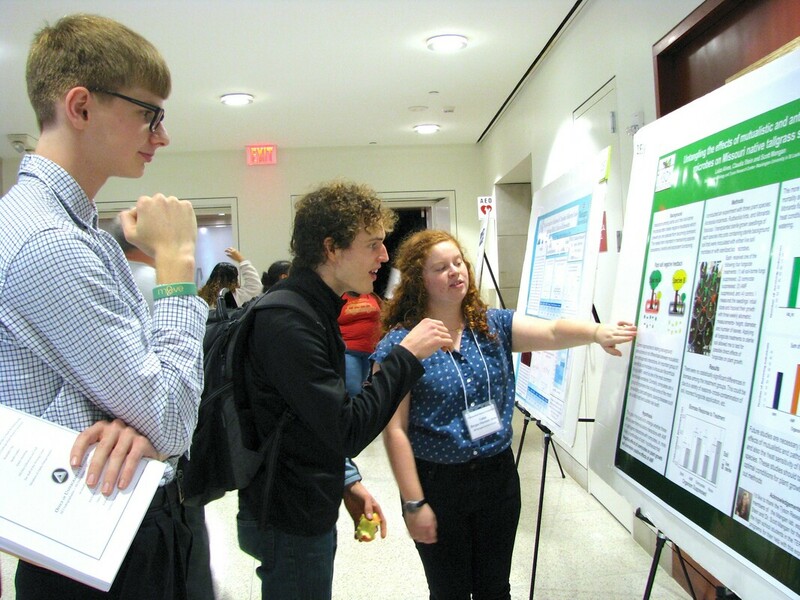 We had three undergraduate students (Tyson undergraduate fellows) and three TERF students sharing their research! 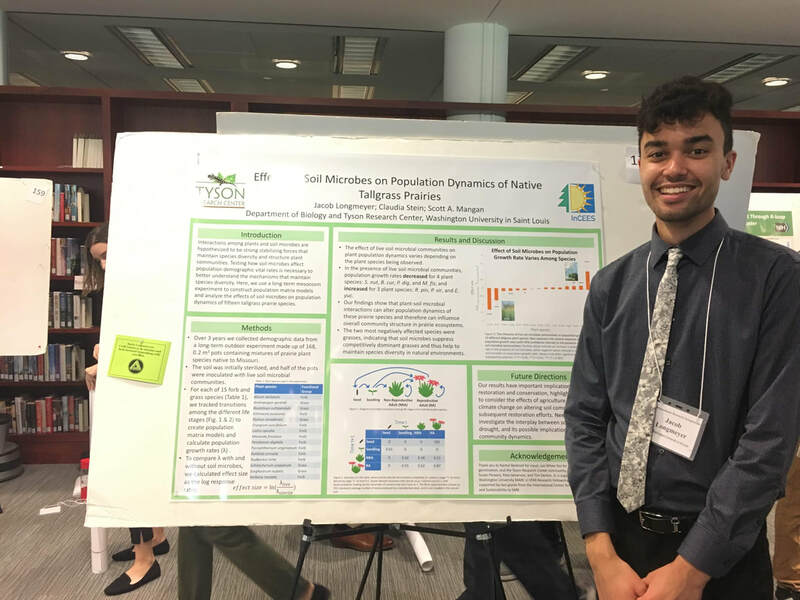 Raj (TERF) presents his poster "Exploring the impact of soil microbes & plant diversity on soil pH in tallgrass prairie communities". Margie and Anna (missing in photo, both TERF) present their work on "The indirect effects of soil pathogens on seed viability". Luiza's poster is titled "Untangling the effects of mutualistic and antagonistic soil microbes on Missouri native tallgrass species." Daniel (TERF) explains that "Differences in pollinator behavior & identity are negligible between experimental & natural populations of Monarda fistulosa". 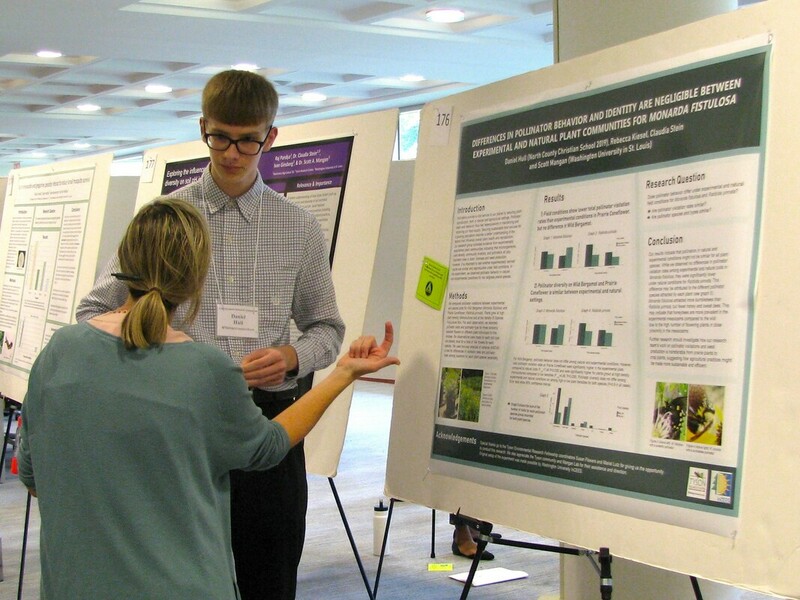 Jacob presents his poster "Effects of soil microbes on population dynamics of native tallgrass prairies." 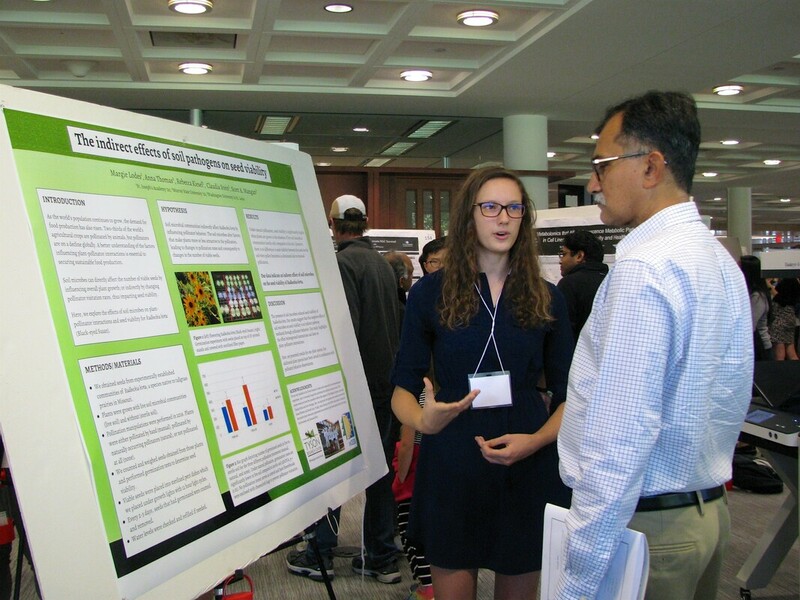 Rebecca's poster is titled "Soil microbes and plant-pollinator interactions as determining agents of seed viability". Kelli presented her poster The Effects of Soil Microbes on the Growth of the Federally Endangered Astragalus bibullatus (Fabaceae), by Kelli Showalter, Rachel Becknell, Dr. Matthew Albrecht, and Dr. Scott Mangan at the 8th Annual St Louis Ecology, Evolution, and Conservation (SLEEC) Retreat at Maryville University. ​​Good job Kelli! Claudia starts an Assistant Professor Position at Auburn University, Montgomery. Claudia starts as Assistant Professor in the Department of Biology and Environmental Sciences at Auburn University Montgomery. Congratulations, Claudia! 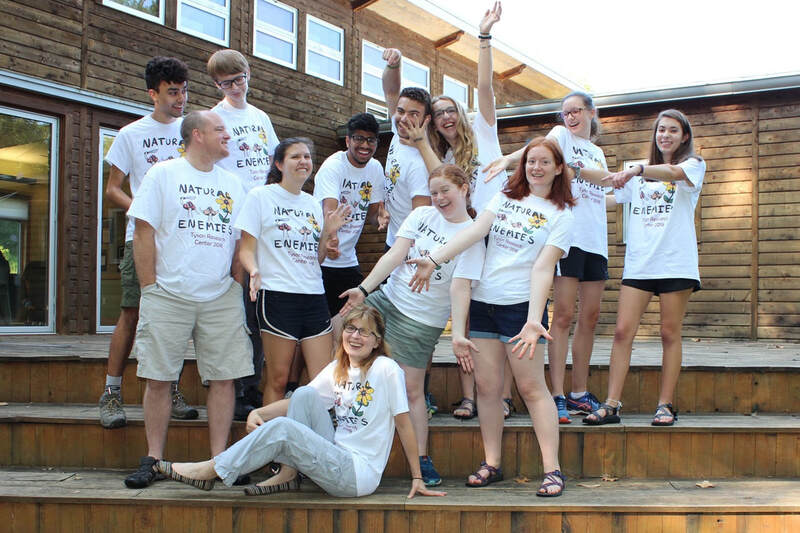 Another great summer at Tyson Research Center! 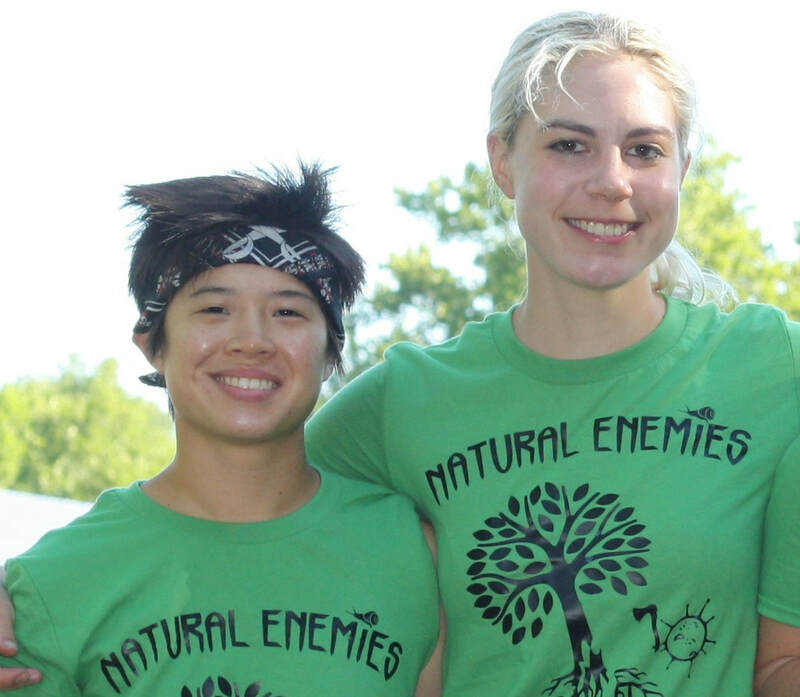 Thanks to all the Natural Enemies 2018! Our team includes (from left to right) Jacob Longmeyer, Scott Mangan, Daniel Hull, Lauren Kohart, Raj Pandya, Ivan Ginsberg, Luiza Alves, Rebecca Kiesel, Rachel Becknell, Margie Lodes, Anna Thomas, and Claudia Stein (front). This year we won first prize in the Tyson Olympics! Go Natural Enemies! Congratulations to Holly! She starts a PostDoc position at the United States Geological Survey · Northern Prairie Wildlife Research Center.